Thanks to the Twitter of Takara designer Hisashi Yuki, we have our first teaser of the next combiner team in line to receive Takara’s Unite Warriors treatment! That combiner is none other than Computron! 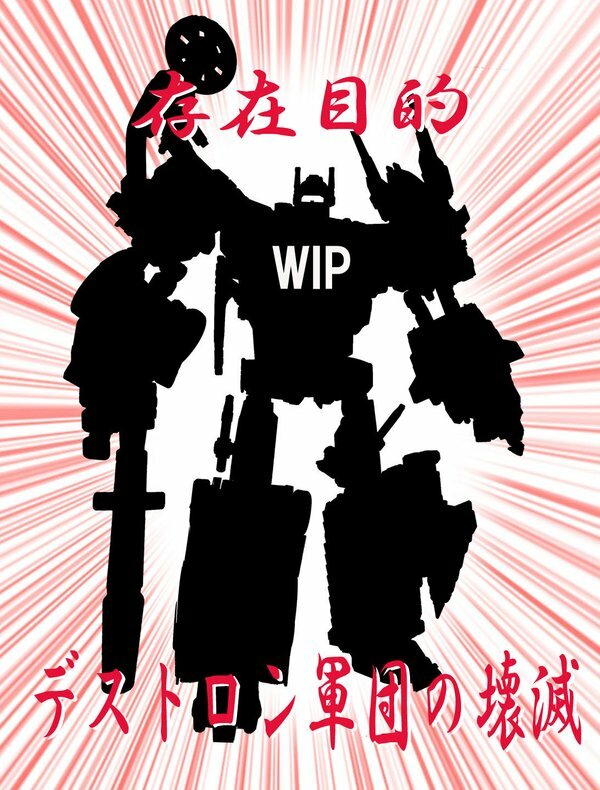 Hot on the heels of the full image of Hasbro’s Computron, we now have the first obligatory tease in the form of another silhouette, as seems to be tradition with the UW line. However, the silhouette, like those before Computron’s, reveals some changes we can expect to see upon full reveal. For starters, it appears Computron will have a new, if not slightly altered, combined form head! In addition to the long-awaited new head, Computron also appears to be sporting a new rifle and possible new feet that are either the new pair that comes with the Hasbro boxset, or are remolds of the regular Combiner Wars feet. Fans will also notice the lack of Legends Scrounge in this set, leaving him to be a Hasbro exclusive thus far; but anything’s possible! Will you be getting Unite Warriors Computron now that we know it’s on the horizon? Will you stick with Hasbro’s version that sports Scrounge as a Legends partner? Or possibly both!? Share your excitement in the discussion link below, and be sure to stay tuned to TFW for more news on this and other awesome combiner sets!